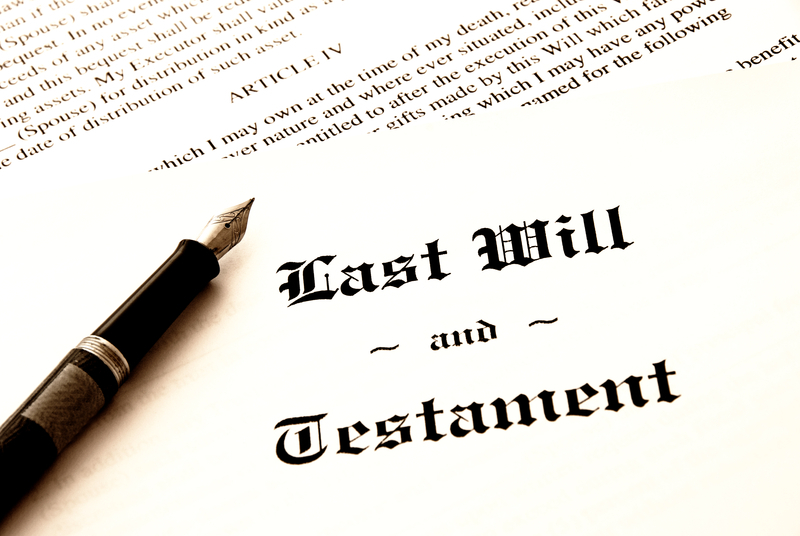 Contested Wills: When is a last will not THE last will? The person realizes the effect his/her act will have upon his/her estate. This is referred to as “testamentary capacity” to sign a will, and the law presumes every person has testamentary capacity unless otherwise proven, and a party challenging a person’s testamentary capacity to make a will has the burden of proving that before a jury. Aside from testamentary capacity, a person making a will must not be subject to the “undue influence” of another person to make a will that does not represent the true expression of the wishes of its maker, but rather the expression of the wishes of another person. The elements to prove undue influence are: (a) the person is subject to undue influence, (b) a beneficiary has the opportunity to exert influence, (c) the beneficiary has the disposition to exert influence, and (d) the resulting will indicates undue influence has occurred. Here too, the burden rests upon the challenging party to prove the elements of undue influence. Multiple factors may be admitted into evidence to show undue influence, including (a) old age and physical and mental weakness, (b) the person signing the paper is in the home of the beneficiary and subject to their constant association and supervision, (c) others have little or no opportunity to see the signer, (d) the will is different from and revokes a prior will, (e) the new will is in favor of one with whom there are no blood ties, (f) the new will disinherits one or more natural objects of the person’s bounty – i.e., family, (g) a beneficiary has procured the will’s execution. The validity of a last will may only be challenged through what is known as a “caveat proceeding” in the superior civil court, and may only be determined by a jury. Parties to a will caveat may not agree to waive a jury trial if they desire to have the case determined by a judge alone or stipulate to the facts upon which the jury will determine the case. Any and all “interested persons” must be brought in as parties to the caveat lawsuit in order to be bound by the decision as to the validity of the will. Interested parties include anyone having some pecuniary or beneficial interest in the estate that is detrimentally affected by the will that is the subject of the caveat. This would include those who might claim a share of the estate under an earlier will. This would further include all “heirs at law” in the event no will is held to be valid and, therefore, the person’s estate would pass to their “next of kin” as defined by the NC intestate succession statutes. A will caveat must be filed within three (3) years of the death of the person who made the will in question. Such trials are typically lengthy and involve numerous fact witnesses who had contact with the person making the will. Such trials present practical problems too, especially in cases where those who knew the deceased and would be called as witnesses may be old and in frail health themselves or have since died. Various evidence rules also present problems given that hearsay statements (i.e., those offered by a witness but which are statements made by someone other than the witness themselves) or statements of the deceased person who made the will which are offered by an “interested party” are usually excluded by the trial judge. With the exception of a divorce or child custody case, no other type of lawsuit opens up old wounds, family skeletons, and dirty laundry in the way a contested will does. These cases are also typically expensive and time intensive given the number of witnesses and medical evidence/testimony which is involved. The trial judge also holds discretion on awarding attorneys fees and costs at the close of the trial, and those fees and costs may be allocated “among the parties” as the judge may determine in their sound discretion. Care should be taken in the manner in which a client arranges to have a will made, who is present during those conferences, and what contact the drafting attorney has with persons other than the maker of the will themselves. Attention should also be given to whether the person making the will suffers from any mental infirmity or illness that might call into question their “capacity” to make a new will, especially if that will revokes a prior will and disinherits one or more persons who would normally be expected to receive a share of the estate. Families should also be aware that the more involved they become in arranging or procuring a loved one’s execution of a new will, especially if it is at a time when the person is in poor health and under the care and supervision of such family member(s), the more an argument may be made by someone unhappy with the will that undue influence has occurred. If a will caveat does arise or anyone even threatens to contest the will, some type of resolution shy of a full blown trial should be considered. The law does favor settlement of such disputes and typically any settlement agreement must be entered into by all interested parties and approved by a superior court judge before the terms of a will can be modified to satisfy the settling parties’ agreement. You may wish to involve an estate planning attorney familiar with probate law in North Carolina. Better yet, you may wish to discuss with an estate planning attorney the best options for structuring your estate plan ahead of time in order to avoid a potential controversy upon your death. Use of revocable living trusts and beneficiary designations can sometimes avoid or lessen the chance of a will caveat since those methods of asset distribution pass outside of probate. In terrorem or “no contest” clauses contained in wills are strictly construed and not favored by the law, but are enforceable if a disgruntled heir files a frivolous caveat to challenge a will. There is even a new statute in North Carolina – Chapter 28A-2B-1 – allowing for a party anticipating a potential challenge to a will to give notice to all interested parties prior to the testator’s death in order to establish all of the essential elements of a valid will. If those elements are established, then the will is not subject to challenge later on upon the testator’s death.